What’s Inside? 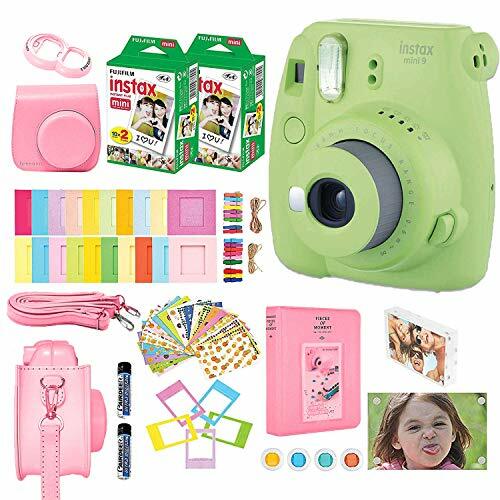 Lime Green Fujifilm Instax Mini 9 Instant Camera with built-in flash, 2 twin pack instant films (20 per pack=40 total) Custom Fitted PINK Camera Case with detachable Strap, 2 Acrylic Magnetic Picture frames for Instax mini photos to display on the fridge or on a desk, 4 pcs colorful filters, PINK 64 Photo Album designed for Instax Mini Photos, PINK selfie lens, hanging frames, stickers, and photo frames. What’s Outside? 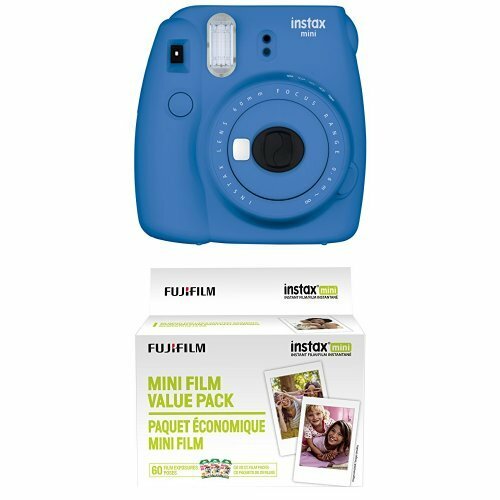 The Green Fujifilm Camera with its sleek design makes it fun and easy to use. 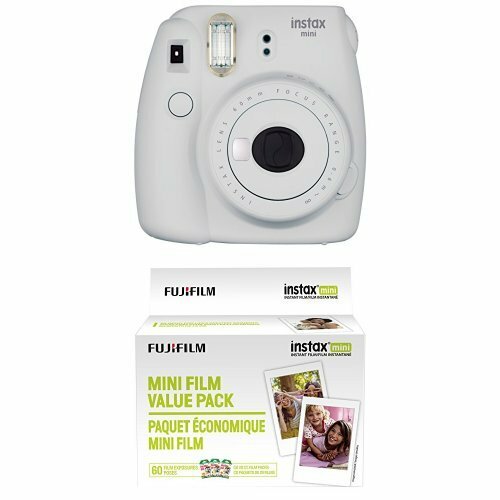 The Instax Mini 9 features a small selfie mirror which is built into the front of the lens design for accurately composing self-portraits. Close up macro photos are now easier thanks to the included close-up lens adapter which allows you to focus on subjects as close as 35-50cm. 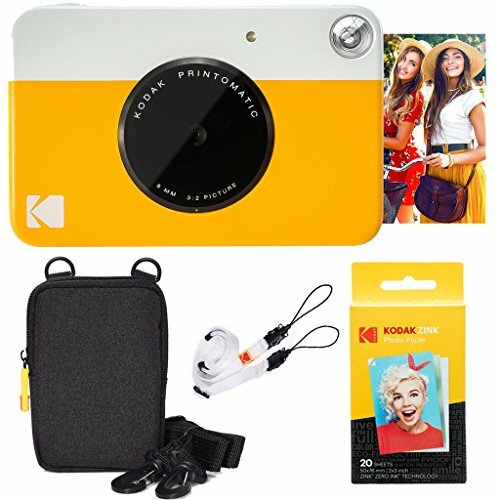 Slim, light and fun, it’s perfect for your next trip or event.